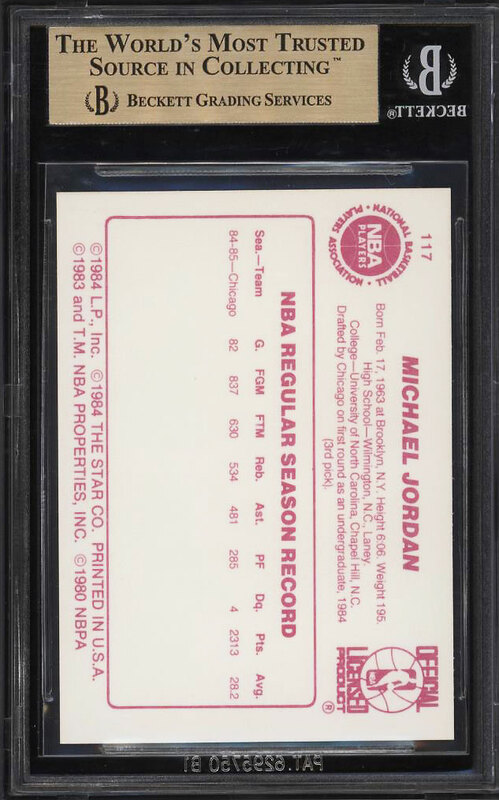 A jaw dropping '85-86 Star #117 Michael Jordan rookie on the auction block this month. The offered Beckett 10 is one of just three to be awarded the illustrious designation and is among the finest copies we've brokered in our tenure. 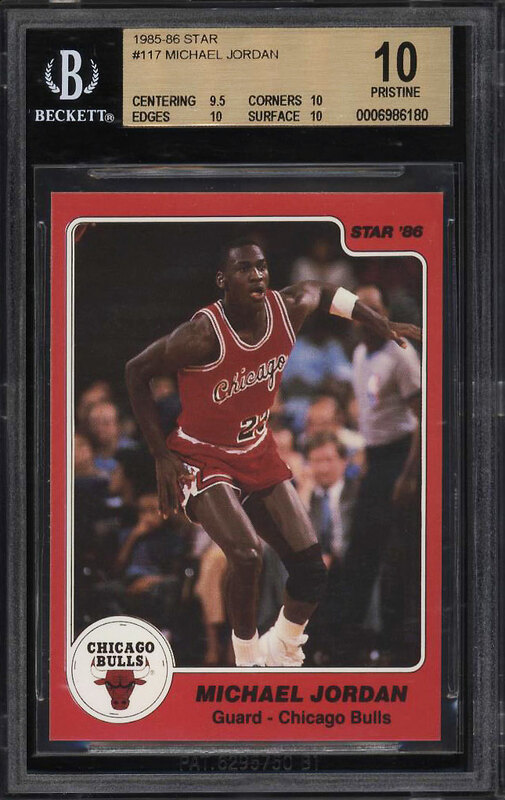 Star Basketball MJ rookies continue to soar in value as investors realize just how important these true rookie cards are. The offered specimen displays spectacular pristine edges, corners and surfaces. Boasting bright color with stunning print and clarity throughout. An all around magnificent 'Air Jordan' rookie which represents a blue-chip commodity. Enjoy. One of over 18,000 cards, lots and sets up for bid in our 6th Auction of 2018. Click on the link above to view the other PWCC auction lots.